God called me to minister to the people of Costa Rica 13 years ago. Since then he has blessed me with my husband Camilo and two great sons: Joshua who is nine and Elias who is three. Our main focus is to reach the next generation, because they are our future. 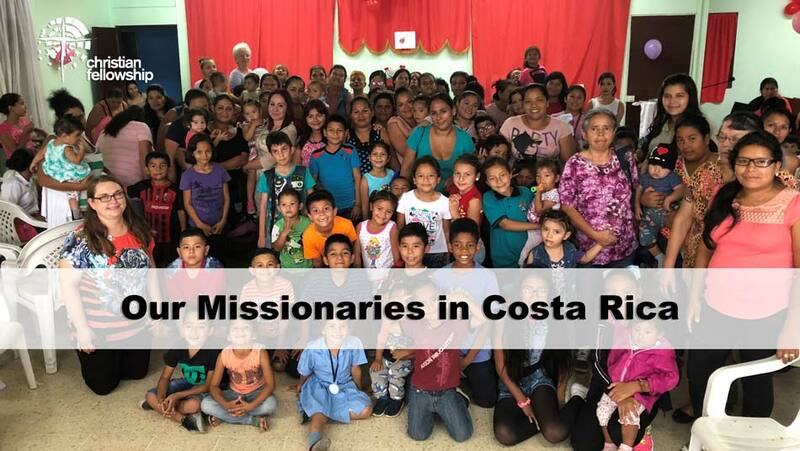 Many churches in Costa Rica mainly focus on the adults and forget that kids also need to be ministered to. Sadly many of the churches just do not know how to do that. We go into the churches and teach them how to minister to a child and how to make it fun. If the child enjoys the service, they will want to come back. And if they come back, they will bring their parents. That is what it is all about: reaching the whole family for Christ! I have also started Mom and Me groups to help train women be better mothers. There is a lot of child abuse in Costa Rica, because they do not know how to properly discipline their child. They get frustrated, because they have never been taught how to really love their children. They were abused growing up, so that is their definition of love. We are changing that definition of love and replacing it with Christ’s love! Every week I make thirty dozen cookies to share with the families. Most can barely afford to put rice and beans on the table, so cookies are a big treat. The mothers and children also do crafts after the lesson every week. I always prepare a coloring sheet and craft that goes along with the Bible story and lesson, because it helps put their faith into action. They are using their hands to do something about what they just heard. Plus they get to take it home, and it is a reminder of what they learned that week. I have seen so many families changed for Christ over the years. Once God comes into your life, it is impossible to stay the same. We have seen mothers come off of drugs, come out of prostitution, and give their lives to Christ. The most important thing is love. Once the mothers really feel God’s love, they can then love themselves and in turn love their children. That is what we do as missionaries: we touch one family at a time, which then affects the whole community. We are so thankful for all of what God is doing in Costa Rica and cannot wait to see what else He is going to do through us.